If you’re speeding through the Sheridan-Homelands area, you may be bombarded with a little black and yellow. 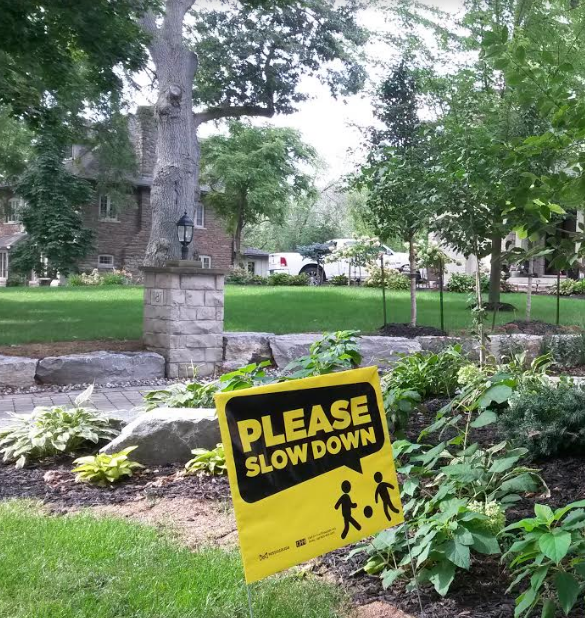 Drivers across Mississauga are being encouraged to curb aggressive driving via a public education safety campaign — ‘Please Slow Down’ signs are popping up across lawns to promote safe driving habits in residential areas. In Ward 2, more than 150 signs have been personally delivered by Coun. Karen Ras, according to her staff. Heading east to Ward 1, Jim Tovey’s staff has dropped off 150 signs in the last two weeks. 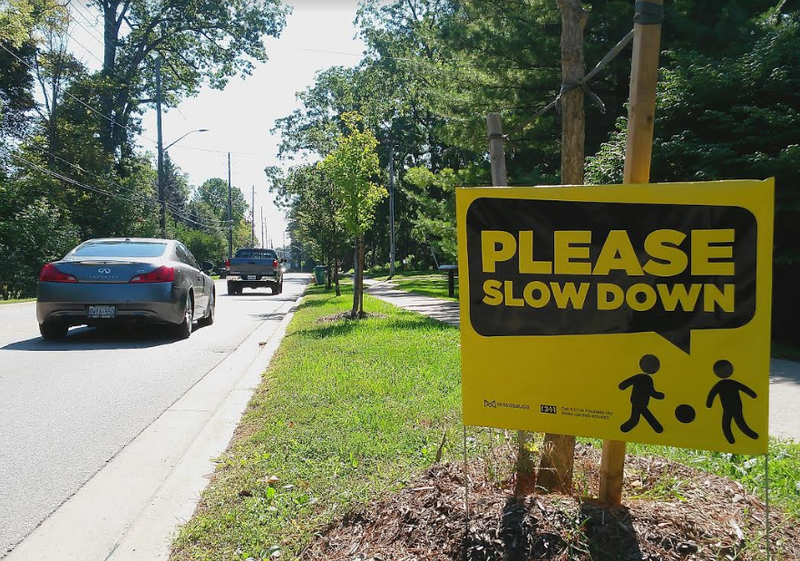 A parent from Forest Avenue Public School asked for 30 signs for the school, with nearby residents also taking part in the campaign. Same goes for the Stavebank Rd. area, and requests are coming in daily, said Tovey’s staff. Road safety involving two wheels is also being highlighted this month. City staff are working with the Share the Road Cycling Coalition to encourage cyclists to follow the recently amended Highway Traffic Act. When passing, motorists must now leave at least one metre of space between their car and a person riding a bike. Finally, the city is working with Transport Canada and railway authorities to ensure resident safety around train crossings in Mississauga.